Carlos Balderas of Santa Maria is one step closer in his quest for the gold at the Rio Olympics. Balderas won his first boxing match of the Olympics Saturday morning against Kazakhstan’s Berik Abdrakhmanov. In the second round, Balderas, 20, started with a hook and continued with a strong round against Abdrakhmanov, 30. Even though at times the match was close, Balderas won with a unanimous decision victory and a win for Team USA. 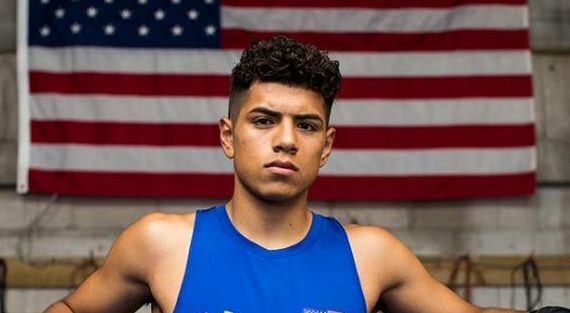 Later in the day, Balderas’s teammate Nico Hernandez beat Italy’s Manuel Cappai for an undefeated first day for the U.S. team. Balderas will return for a second match on Tuesday morning with Japan’s Daisuke Narimatsu. How exciting for this young man! Go Carlos! It would be wonderful for SM and Carlos if he was to bring back a gold medal to the Central Coast!